Gretchen, for the first time in her memory, slept 12 hours. 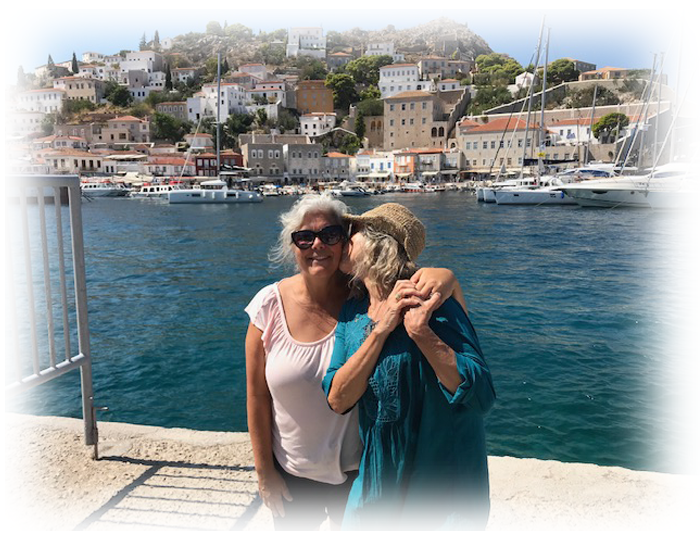 Thanks to our ‘early-to-bed’ ethos, she still rose in time to partake—shipboard--of local fruits, fresh–baked bread, cheeses and coffee before our Hydra hike. Located in the Aegean Sea, Hydra is a Greek derivative word for water; in reference to the natural springs of this island, where no wheeled vehicles are allowed. Donkeys and boats provision the island. We saw one (forbidden) bicycle as we (a group of maybe 12) hiked along the gorgeous coastline following our “Iron Man” guide with his buff body and deep love for his pristine island. We walked to a pebbly beach where I swam in the clear water and Gretchen lay in a lounge chair, stunned by the glory of Greece. 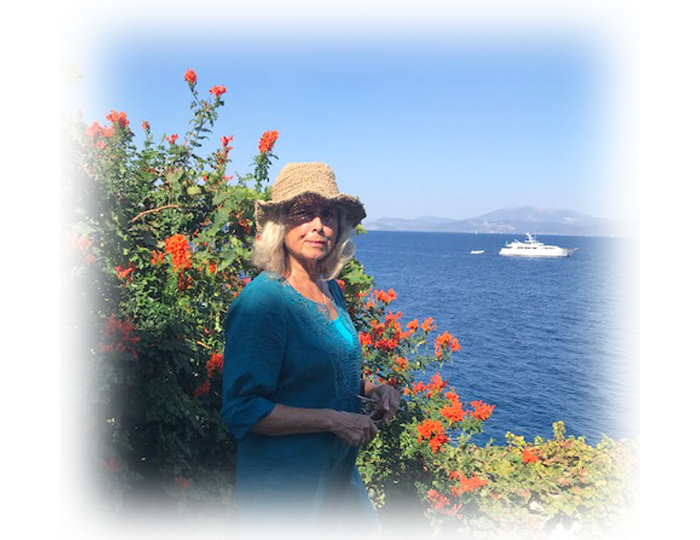 In the afternoon we dove off the back of the boat into the Aegean waters. I had not ever been swimming in open waters with my adult daughter. It was great. And post swim cocktails were great and our dinner for two was great, as was our nightcap of Cointreau (in memory of Conrad). 110 couples on the boat, plus Gretchen and me. Half of the women on-board older than my daughter, but we two were the only ones with gray hair. We were often complimented on our courage of coiffure.